Stefano Levi, Filmmaker, Producer, DOP. Rosalie Kubny studied Political Sciences, Sociology, Law and History and currently holds a Bachelor degree. She has a strong interest in Humanitarian work and Film. Since several years she developed as a freelance sound engineer for documentary projects and participated to several film projects. 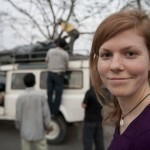 Out of the Darkness was her first assignment on a humanitarian mission. 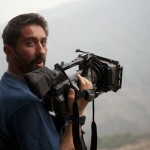 Luca Coltri, is a filmmaker underwater camera operator and scuba diving instructor based in Ventimiglia, Italy. He has extensive experience with documentary film-making and a special talent in managing difficult situations and extreme physicals and mental stress. He worked for National Geographic and BBC and is currently involved in several reportage and documentary projects under- and above-water. He returned from Nepal just in time to assist his wife giving birth to his first daughter Eva.